Observation - Rabbits - UK and Ireland. 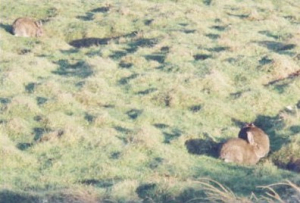 Description: Three of a total of 25 rabbits I counted enjoying the sun at Marazion Marsh Nature Reserve. Three of a total of 25 rabbits I counted enjoying the sun at Marazion Marsh Nature Reserve.